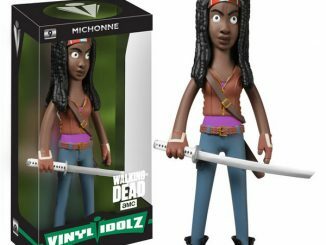 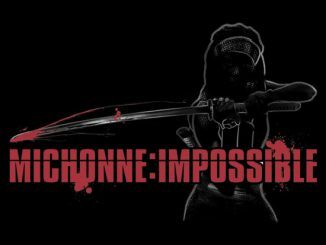 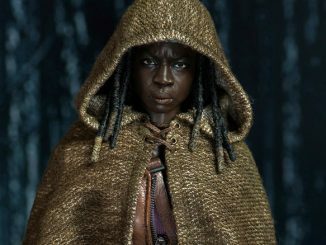 The baddest babe of the zombie apocalypse is ready for some sword-swinging action with the Walking Dead Michonne 10-Inch Deluxe Action Figure. 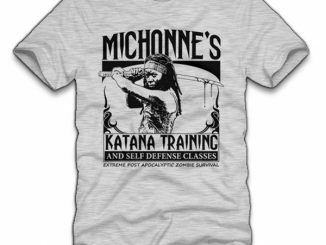 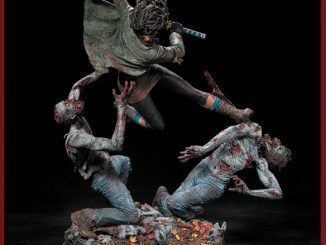 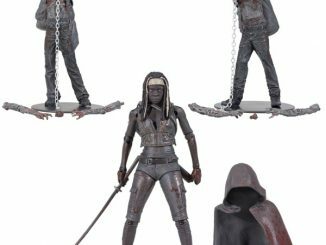 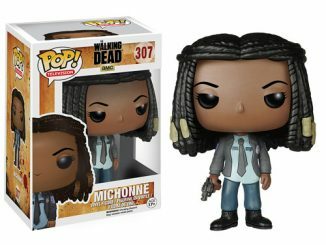 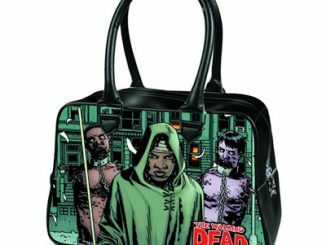 Standing 10-inches-tall and based on a full 3D scan of actress Danai Gurira, Michonne is the perfect companion for the Walking Dead TV Rick Grimes 10-Inch Deluxe Action Figure and the Walking Dead Daryl Dixon 10-Inch Deluxe Action Figure. 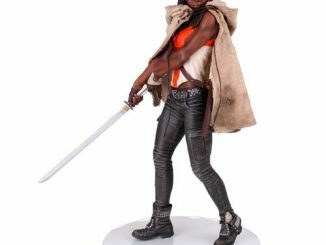 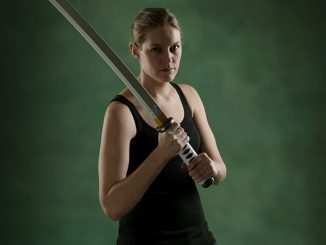 In addition to a black circular base for dynamic posing and her lethal katana and sheath, the figure also comes with an alternate set of arms so she can have either an attack pose or a defensive pose. 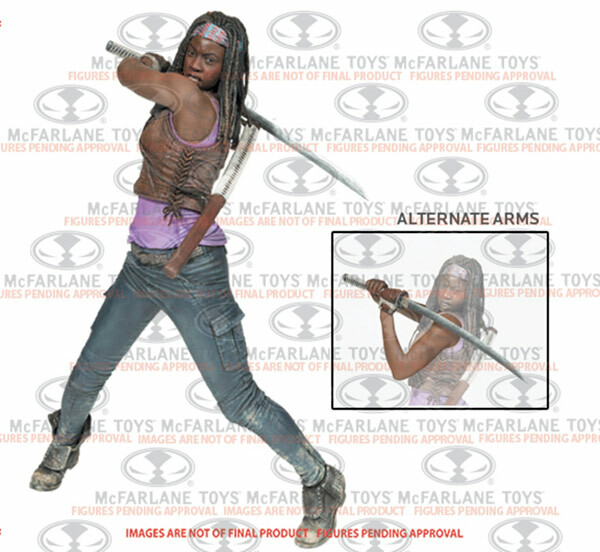 The Walking Dead Michonne 10-Inch Deluxe Action Figure will be available October 2015 but it can be pre-ordered now for $32.99 at Entertainment Earth.